the launcher (Transport Erector Launcher And Radar, or TELAR). It also has some radar capabilities. the loader (Loader Launcher Vehicle: LLV). It transports, loads and can fire missiles, but has no radar. The Snow Drift Radar has an effective range of 85 kms. 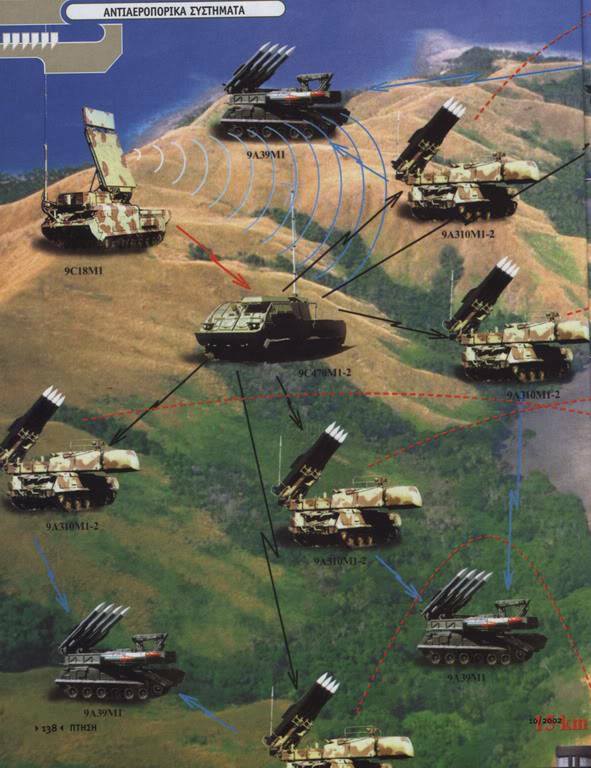 It can communicate with and control up to six TELs/LLVs and as such launch and direct the missiles to the target. The other units must be in range of max 40-50 kms, but at this range weather and geographical conditions or jamming may play a bigger role, so a more effective and reliable range would be 20-30 kms between the different units. The TELAR has the ability to launch independently from a C&C. It has a semi-active FIRE DOME radar. The radar sends a signal. The reflection of this signal is captured and based on the time, angle, etcetera, the height, range, speed and behavior of the plane is calculated. These are then send to the rocket. The rocket itself does not have radar. The Fire Dome radar has a range of 32 kms, the same as the missile range. The TELAR also has an electro-optical guidance system, which is only being used when the the radar is out of use because of jamming for instance. The launcher has four missiles and since these missiles cannot be loaded into the system manually, a separate loader vehicle with a crane can both transport missiles, load them unto the launcher, or even shoot them when controlled by a C&C. Every radar has a friend-or-foe recognition system (IFF). Question: Does Russia have these units deployed along the border with Ukraine? Two days prior Russia had been bringing down a Ukrainian AN-26 transport aircraft with a BUK missile. That was the first time they used a BUK in the war with Ukraine. In this blog I calculated where the BUK must have been located that fired that missile. Light blue = approximate front line at July 17th. Another thing is that we know from all kinds of sources that Russia has units all along the border with Ukraine and is even ATTACKING Ukraine across the border. Did we spot and locate any of the BUK units alongside the border? the AN-26 was shot down with a BUK earlier. What would be good locations to position BUKs along the border? Because it covers the route of Ukrainian aircrafts to the units at the border. 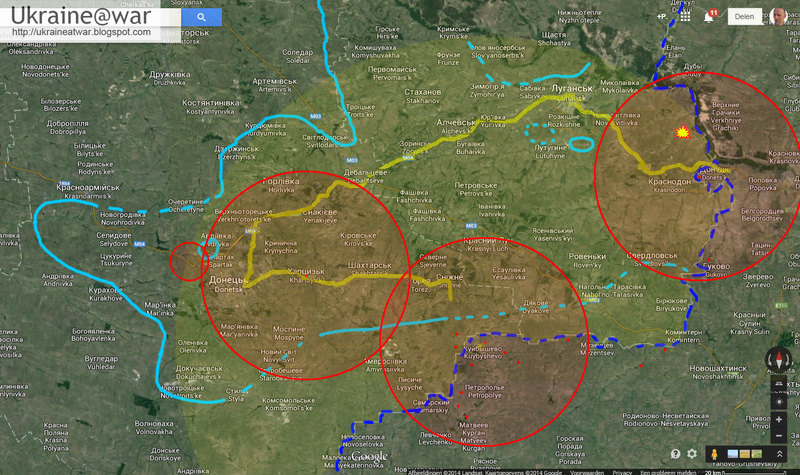 And Russia was and still is trying to cut off these Ukrainian units at that particular location. Yellow area = 85 kilometer operational range of Snow Drift Radar. Wow!! What a detour! We know from the leaked telephone calls that they TRIED to bring in TWO, but only one made it. So it was a VERY risky operation. We also know from these phone calls that the BUK came WITH A CREW. It means the BUK COULD easily connect with a radar unit there. Then the next question is: why should it NOT connect? Another question is: WHY would they drive the BUK all the way WITHIN operational range of a radar unit, while they could easily have a BUK on Russian territory with approximately the SAME effective coverage of Ukrainian area along the border? 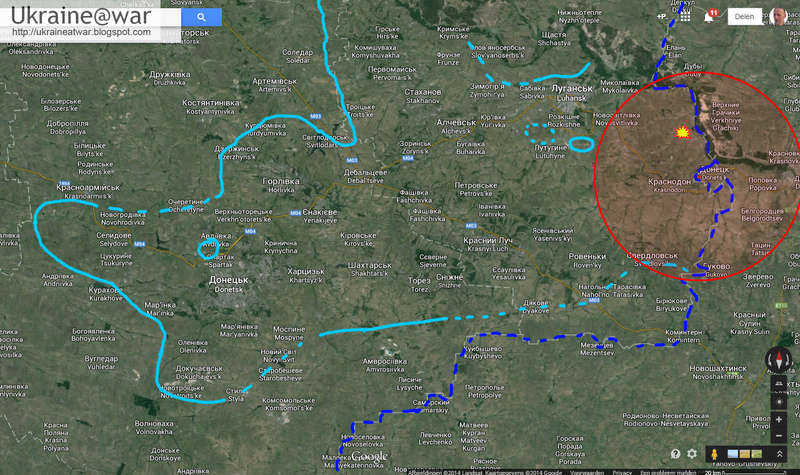 So it is clear the BUK sytem is on Russian soil in that area. Then we have to ask: why would they put a BUK within operational range of a radar unit on Russian soil, while there is little to no strategic advantage to having a BUK next to the radar on Russian soil? The logical answer is: to OBSCURE the fact that it's RUSSIA being at war with Ukraine and to PRETEND that it is ‘the rebels’ or ‘the separatists’. 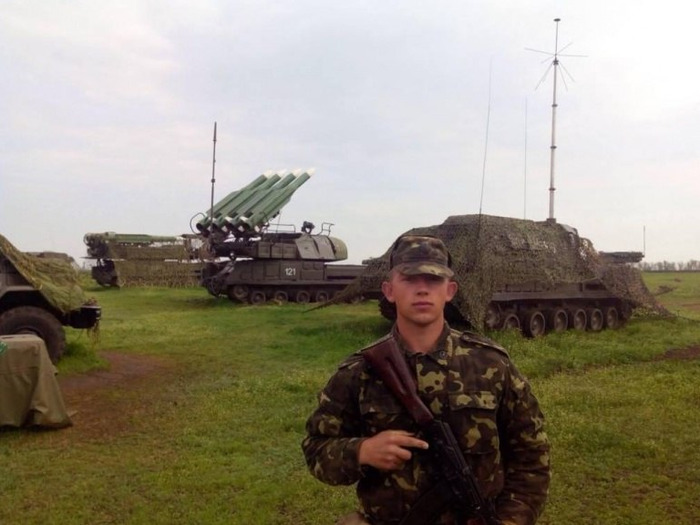 They have been sending messages out of capturing a Ukrainian BUK for days and weeks, just so they could bring one BUK in from Russia without alarming the world too much. They have been doing this with EVERYTHING they brought in: ALL has been ‘captured’, so they say. It’s a disguise. So this BUK would be a ‘captured separatists BUK’, but it could be put in range with the C&C and connect with it for effective operation. Did the C&C know it was a civilian plane? Answer: yes they did. They have been located there for weeks already, monitoring the skies. Civilian airplanes had been crossing over daily. It was safe, because they fly at an altitude where military planes do not operate. Also they can check the IFF of airplanes and as such identify a plane. If so: did they deliberately shoot down a civilian airplane? Answer: yes, they must have known. The eye-icon might be the location of the spotter on a high building in Horlivka who called that he had seen a plane. It is a common practice to put such spotters at the end of the radar range, to get early warnings/confirmations. But why would the Russians want to bring down a civilian plane? Why do these people kill and torture people? Why do they execute people who fight for them when they get caught looting? Why do they intentionally target residential areas with the goal to cause civilian casualties? For two reasons: to be able to get awful dramatic footage for Russian TV and next to be able to blame Ukraine for it. Sometimes they fail to hide that THEY are actually doing it. In that case, the message is: get out of our way, move aside, don’t bother us, or we will kill you. They don’t want civilians to harass them or tell the Ukrainiana army their positions and things like that. So they threaten and they kill to make people obedient and not bother them. But how does that explain them shooting down an airliner? They want a clear sky. They want to be able to shoot down everything that flies in the sky. AND they want to do this from Russian territory, so their units cannot be counterattacked. Of course they cannot shoot down an airliner from Russian territory. So they drove one into Ukraine, shot it down, drove it back. The INTENTION was to blame Ukraine for it as they do with everything. And even when that would fail, it would be very hard or impossible to prove the connection with the C&C across the border. Was it a mistake that they shot MH17 down? Did it change anything for them? Did they show respect for the innocent dead? Did they want to have a ceasefire for three days so the dead could be removed safely? Or for the responsible ‘rebels’ to be brought to justice? No, they did everything to obscure, to remove evidence, to slow down, to remove photos and videos from cellphones from victims, etcetera, in order to make it as difficult as possible to find out the truth. They don't care about these (civilian) deaths. It is as simple as that. Now they have the clear sky they want. NOW they can shoot down everything that flies by without thinking and from safe RUSSIAN territory. 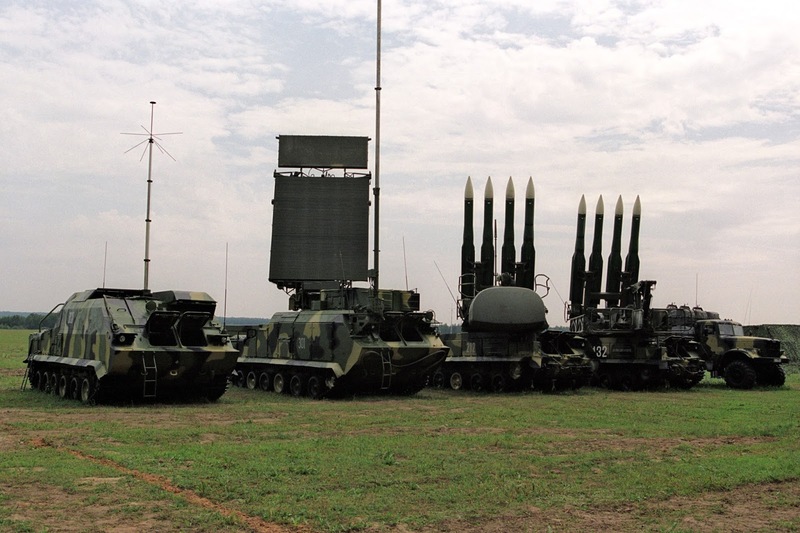 The TELAR/BUK that shot down MH17 was deliberately driven into Ukraine to a location within range of a Command and Control Radar unit on Russian territory. There was hardly any strategical gain compared to having a BUK on Russian territory. The goal to have such a complicated and dangerous operation of bringing the BUK into Ukraine was to OBSCURE the fact that it would be operated by Russians. The BUK came WITH a crew. The C&C in Russia had been monitoring the skies for weeks already, if not for months. They have seen civilian planes all the time. They got an early warning by a spotter. They knew MH17 was a civilian plane. Still they gave the order to bring it down. It does not mean EVERYBODY knew this. In fact NOBODY local knew about it. The locals ALL thought and where told it was a AN-26, until they found out. Only the few people in the C&C and maybe the crew in the TELAR itself knew about it. These people operate in strict discipline and doctrine. They had orders and ask no questions. wow you make a pretty convincing argument - eager for more.